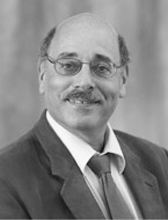 Mark Irving Lichbach is Professor of Government and Politics at the University of Maryland. He received a B.A. (1973) from Brooklyn College of the City University of New York, an M.A. (1975) from Brown University, and a Ph.D. (1978) in political science from Northwestern University. A theorist, methodologist, and comparativist, Lichbach explores the connections between rational choice theories, political conflict, and democratic institutions. He is the author or editor of many books, including the award-winning The Rebel’s Dilemma, and of numerous articles that have appeared in scholarly journals in political science, economics, and sociology. His work has been supported by NSF and by private foundations. Lichbach, who was Book Review Editor of the American Political Science Review (1994-2001) and editor of the University of Michigan’s Series on Interests, Identities, and Institutions, served as chair of political science at the University of Colorado (1995-1998), the University of California-Riverside (1998-2001), and the University of Maryland (2002-2012). He has conducted workshops on insurgency and counterinsurgency for US Special Forces. Guerilla Insurgency: The Springboard to Terrorism?